The Giants Lose a tough, hard-fought slugfest on a bright sunny day at Willie Mays Field, 9-8, to the Rocky Mountaineers of Colorado. BB9 went deep. 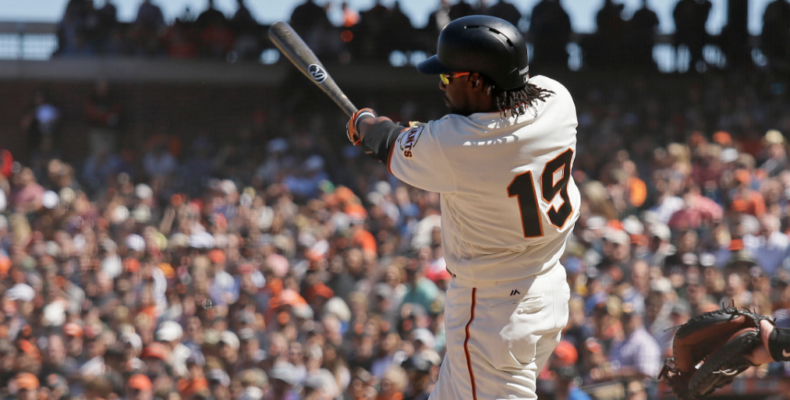 Alen Hanson had a huge day with two doubles and two runs scored, driving in what should have been the winning runs in the bottom of the 8th when the Giants were down. In fact, in a rare sight you don’t see everyday in baseball, he hit a three-run double and only scored two because Buster was running from first…. That was a big run. It appears Bochy does not believe in pinch-runners. Greed is good but so is context. This was a great homestand. The Giants played hard. They played well. They hit the ball all over the field. Nothing to be too sad about. What concerns me most is simple: who will close games out for the Giants with the absence of Strick? My vote is a closer by committee and situational use instead of tapping one guy like a Dyson or Smith.